So, you want to build an e-commerce website? You’re by no means the only one. Online shopping is no longer considered a niche industry; everyone buys and sells online today. Statista predicts that global e-commerce sales will reach $4.87 trillion by 2021. This is serious business – and you should treat it that way too. If you launch a half-baked e-commerce website, you’ll not only struggle for sales but for visibility and reach too. A clear understanding of what makes a profitable e-commerce platform is a good starting point for any young entrepreneur. If you’re thinking of tip-toeing into the world of e-commerce, these six considerations should be at the top of your list when designing and building your online shop front. Given that Google has demanded that all websites should have a mobile-friendly version to offer smartphone and tablet visitors, it should be reason enough to make sure that your e-commerce website design is fully responsive. This means it provides a scaled up or down user experience based on the individual’s viewing device. Those that didn’t provide mobile-friendly options in 2017 were hit with SEO penalties in their Google rankings, so it certainly pays to go responsive – that’s before you consider that a third of all online orders are placed via smartphones! Online consumers are more demanding than ever before. Shoppers aren’t content with seeing a single photo of a product, they want a full showreel of high-resolution images and videos that display a product in various environments. The technology is there to help consumers get a much better feel for online products, make sure you use it. Don’t forget to optimize those images as large files can hamper page load times that influence search rankings. If you really want to build long-lasting trust with prospective customers, there is no better way than to make sure that your e-commerce website complies with PCI DSS, which stands for the Payment Card Industry Data Security Standard. The PCI DSS has existed since 2004 and is designed to secure debit and credit transactions against the threat of cyber-fraud and data breaches, employing a range of measures to do so. When it comes to e-commerce, we’re very much in a review and research age. 92% of online shoppers read reviews about products and services before parting with their cash. Ensure your new e-commerce platform has the functionality to allow customers to leave informative reviews and share them with family and friends via social media. 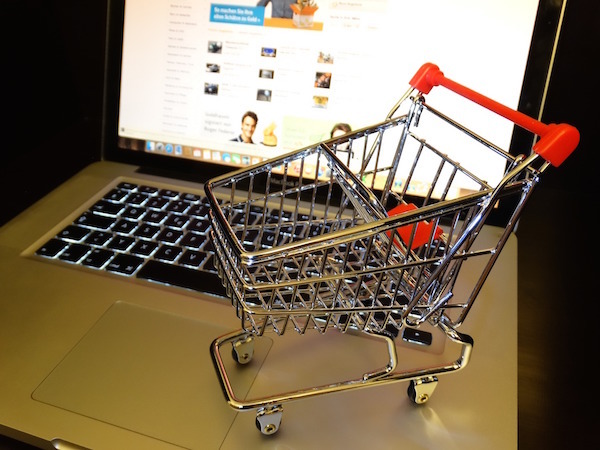 There is no better way to drive additional revenue from an e-commerce website than impulse buys. That’s why a “Related Items” section on the landing page of a product can be so effective. By laying out a list saying “here are some other products that customers who bought this product like”, you do not only have additional opportunities to convert; you are demonstrating to visitors that you get them as a customer, you know what they like and you sell more than what they are looking at. E-commerce is a 24/7 world today, so make sure that your website has adequate online customer support. Whether it’s a live chat functionality, a chatbot or a detailed frequently asked questions (FAQs) section, this can be invaluable for delivering the customer service required to turn prospects into customers and customers into brand advocates. Ultimately, the onus is on you to create unforgettable online shopping experiences. Consider how you like to be treated as a customer. Get the functionality of your e-commerce website right to avoid damage to your brand and make a great initial impression.